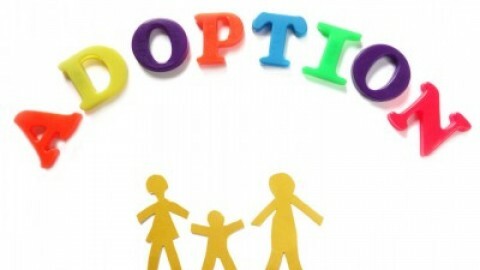 November 18 is National Adoption Day. What does that mean? Do you get a paid day off from work? Well, unfortunately, no to the paid day off! But it does mean one child out of the current 110,000 children in foster care may be getting a permanent family. Today family can mean many different things. It may mean a mother or father and child. It can also mean the traditional mother, father, and the requisite 2.9 children. Or it can mean two fathers or two mothers and one or more children. The central element, whatever the composition of the family, is the presence of love. Of course, adoption is not limited to only children in foster care; adoption can also turn a stepparent into a real-life superhero. Stepparents can have a challenging role when wearing the mantle of the pseudo-parent if the biological father or mother is still in the child’s life. However, there are many situations in which one biological parent is not involved and the stepparent is the only person stepping up to the plate to be a role model, confidant, friend and, most importantly, a parent. In those situations, adoption allows for the person who is actually parenting to be formally and legally recognized as that child’s parent. Since its inception 17 years ago, this one-day event has assisted in placing over 65,000 children into loving families that continue to impact not only those children’s lives but the life of every other individual that interacts with that adopted child for the rest of their lives. So help us this year by spreading the word and helping the next child find their forever family. You can find more information about National Adoption Day at www.nationaladoptionday.org. Be Afraid. Fail SpectacularlyGod bless us. Everyone. This one and only Christmas.